Triosphere is a three piece jazz ensemble, featuring Robin Radus on piano, John Romagnoli on drums, and Gaku Takanashi on bass. From a wide range of jazz standards and timeless songs out of the American Songbook (with a special emphasis on classic material from George Gershwin, Rodgers and Hart, Cole Porter, Jerome Kern, Harold Arlen, Billy Strayhorn, and many more terrific songwriters from the first half of the 20th century), Triosphere blends traditional material and clean acoustics with a contemporary sensibility that both delights and inspires the listeners in various ways - spontaneous dancing and an increased sense of joyful camaraderie are common experiences when Triosphere is playing. With tasteful exuberance yet uninhibited abandon, Triosphere lends an elegant but entirely unpretentious feel to any occasion. Not too loud, not too quiet, yet able to fill even a large space with a balanced and satisfying sound, perfect for any occasion, Triosphere is known for capturing the essence of a space through the art and science of acoustics. 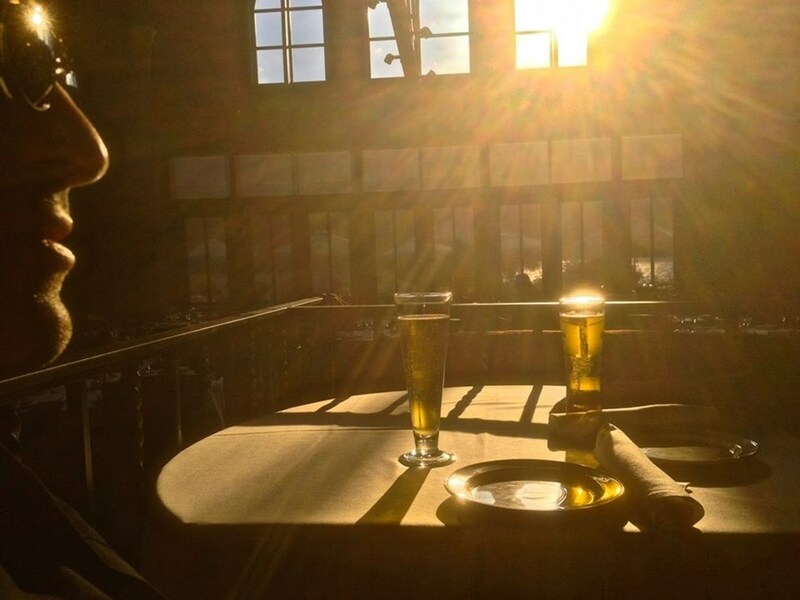 Cocktail hours, background music in a restaurant setting, classic jazz brunches, personalized weddings, upscale fund-raising events - these are a few examples of some of the events Triosphere is aptly suited for. 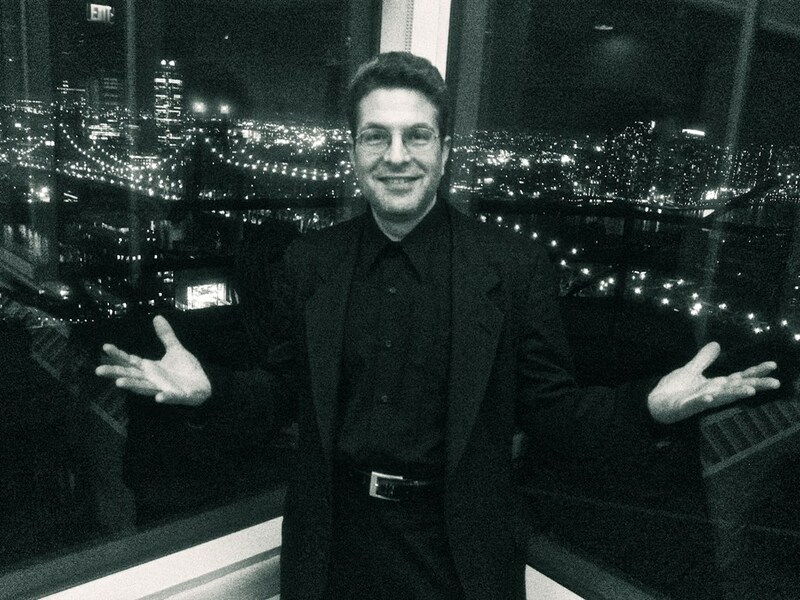 Additionally, Triosphere has recorded many original smooth jazz compositions and will happily perform them at your event, should you wish to hear them. Some of these are included as a part of this profile as audio samples. 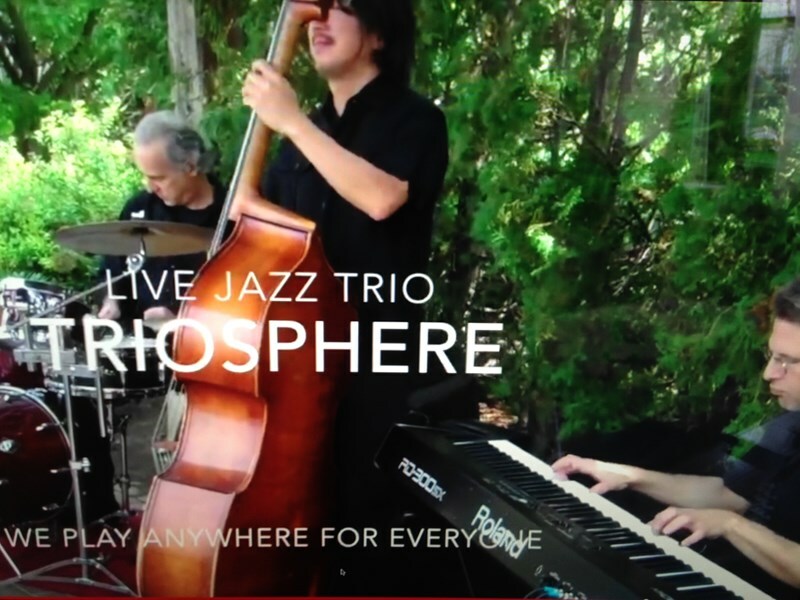 If you want virtuosity, clarity, humor, an all-around great time, and a lot of really excellent music played by people who really love what they're doing, please consider Triosphere - perhaps New York's most acoustically intuitive jazz trio. Please note Triosphere will also travel to Long Island City, Brooklyn, North Bergen, Bronx, West New York, Union City, Weehawken, Flushing, Fairview, Edgewater, Hoboken, Jersey City, Ridgefield, Cliffside Park, Palisades Park, Fort Lee, Secaucus, Ridgefield Park, Leonia, Englewood Cliffs.